KEEPER OF THE SNAILS: Freda Hadwen and the Chester Literature Festival. Great reading this interview, Clare. Freda's contribution to Chester Literature Festival is clearly a huge and generous one; I hope she has lots of happiness ahead with her numerous new projects. I'm sure her flair, her tact, her organising skills and her wonderful S.O.H. will all be much missed. They say in every job that noone's indispensable but, nevertheless, Freda is totally irreplaceable. She has a brilliant way with people across the spectrum and has such a wise and all-encompassing view of the 'big picture', whatever the subject. 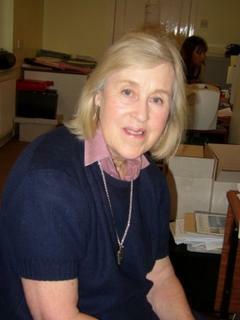 Her extra-thoughtful ways, courtesy and innate sophistication - apart from her professional skills and bulging contacts book - have done much to help steer Chester Literature Festival along a sometimes very rocky road during these past few years. A character of note, she is also a brilliant cook, and known to have magicked up more than once some delicious 'picnic fare' from her kitchen, at her own expense, for some of the best names in the business when a heavy schedule has meant they had to leave Chester immediately after their event - ask Andrew Motion! A grateful recipient, he departed by chauffeur-driven car, but as others would hurry for that last train back to London or wherever, they too would be clutching the administrator's prettily-packed morsels. Freda's delightful concern when she voiced horror at anyone having to suffer train food - or even the lack of it - always reminded me, in the nicest possible way, of Lady Bracknell and the handbag. 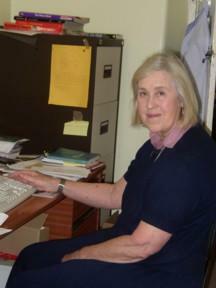 There will never be another administrator like Freda and the literary world will be poorer for it. I understand she doesn't want to work full-time but let's hope her extensive knowledge and experience on the PR side of publishing will not go to waste, and that others in the region may see fit to consult her as appropriate on such matters. Never mind the Booker, Whitbread, Orange etc... anyone able to benefit from Freda's expertise will have seized a rare prize of their own. Excellent interview with Freda. 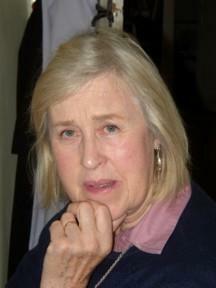 We will miss her at the Chester Literature Festival Committee and will find it difficult to replace her. Although Freda is quite diplomatic usually, she also knows how to call a spade a spade if necessary. When I met Freda for the first time, her cut-glass accent put me off! But, after working with her, I now know that she is always helpful and a thoroughly nice person really. 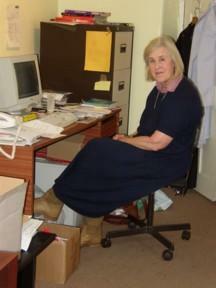 Who was it who said that busy and active people like Freda never really retire? So, perhaps she will soon emerge in a different guise elsewhere. Good luck Freda.